Great stretch and rebound make this inkjet heat transfer material perfect for thinner fabrics. 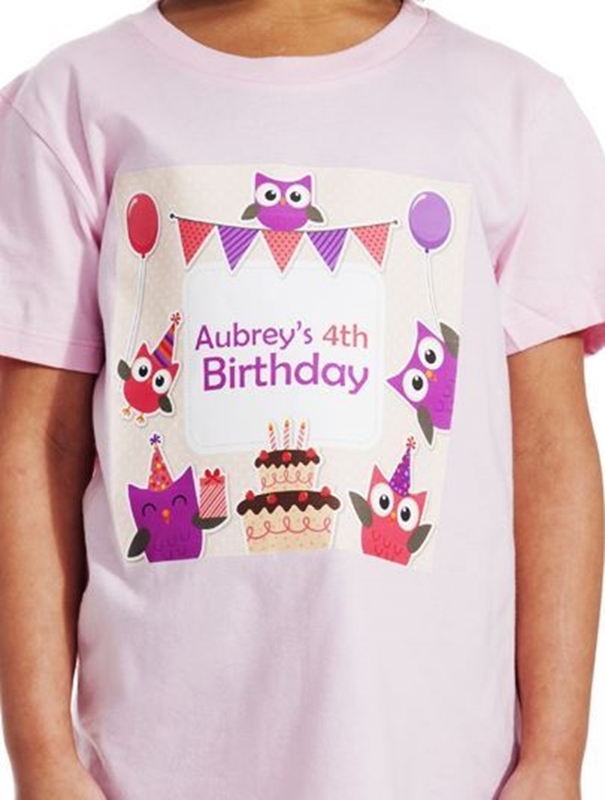 Use Inkrtra Opaque Stretch inkjet transfer paper on any color of garment. The paper has great opacity and is thinner than the other InkTra papers. This allows the transfers to be more flexible with a softer hand. Use a vinyl cutter to cut the image for a more professional look. We recommend a heat press for a permanent application, however a standard home iron can be used. It will take 2 minutes to transfer the image. Watch this quick overview video of Inktra Opaque Stretch transfer paper. Sheets as low as $1.05 each. Note: When printing, do not print on the side of paper with the red line. I have been testing transfer papers for dark garment. I spent about $250 on samples. This paper worked the best for my use. * it is very good with contour cutting. Some paper I tested torn while trying to peel because it was not stretchy. * it does not curl up right away under heat press that helps me use it with vinyl lettering very well. We strongly suggest using InkTra paper for the white or light-colored garments, because it is softer, more stretchable, and more breathable than printable opaque materials. InkTra Opaque Stretch paper is recommended for transfers onto Dark-colored garments and for use with a cutter, where you print … cut … weed and apply to garments using our masking tape. Use the graphic software of the cutter to minimize the amount of excessive film on the garments. You can create some highly professional-looking transfers that compete with the likes of wide format solvent-based print and cut equipment using just your inkjet printer and a craft cutter. I am always looking for better quality products, I have tested several brands.. I purchased the LARGE sample pack to try out all of the INKJET products. I am familiar with Stahls products, I have been using their Heat Transfer Vinyls for some time now. THIS is the best transfer paper I have found so far.. The colors are vibrant, they have a softer feel to them and they feel much thinner than other opaque transfers. I had a go to brand that I used for customer orders, but now I am happy to report that THIS is my NEW go to !